Since 1998, the Nakhon Si Thammarat Airport has been offering top-notch domestic flights. The airport specializes in operating flights going in and out of Bangkok for a very long time. 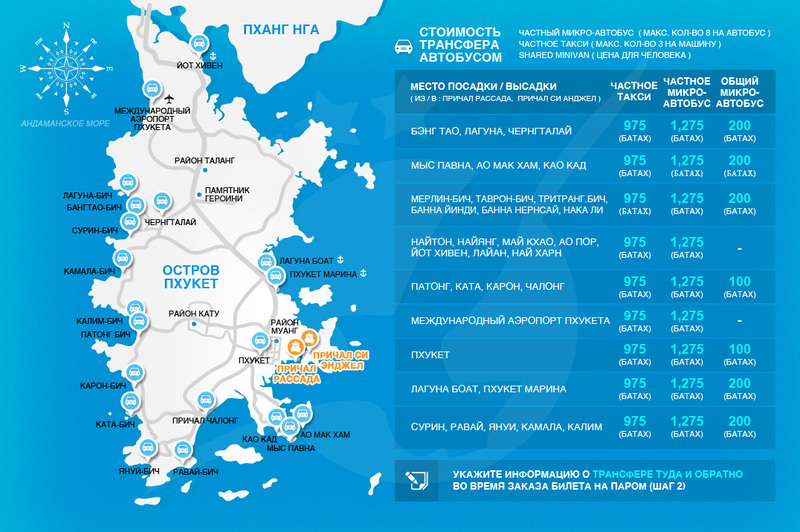 It’s equipped with what every modern-day airport need, ranging from gift shops, toilets, restaurants, a ticket office, shared minivan, and taxi services and car rental. The airport is also neighbored by many hotels and is near to a lot of tourist attractions. You would definitely enjoy yourself while you wait for your flight. Located just 6 kilometers from the airport, this precious piece of history has been around for over 45 years. 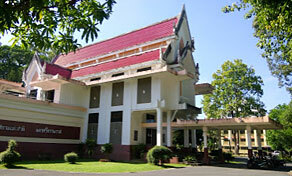 The National Nakhon Si Thammarat Museum consists of artifacts, craftwork, and utensil obtained from the Nakhon Si Thammarat province itself. It even has a whole section dedicated to prehistoric artifacts and has a wonderful national library consisting of great book collections that are frequently used by the students. 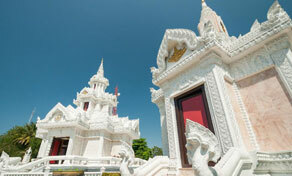 It is a recommended visit for history lovers and those who would like to be informed in the deep history of Thailand. It’s really hard not to notice that you just can’t simply go anywhere in Thailand without finding a truly magnificent temple not so many kilometers away from your location and one of many great attractions in close proximity to the airport is the Nakhon Si Thammarat City Pillar Shrine. It consists of 5 buildings; the City Pillar is the center building and the other four are called satellite buildings. The beautiful white place of prayer and worship was built back in 1989 and presents true Srivijayan architecture. One of the main and most important attractions in all of Nakhon Si Thammarat province, the Shadow Playhouse of Suchas Subsin is a must-see one of a kind experience. Just 8 kilometers from the airport, the Shadow Playhouse was created by the museum creator named Suchas Sunsing and his family. 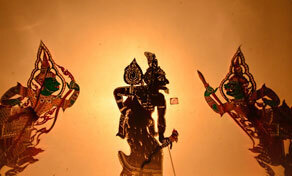 The playhouse narrates ancient Thai stories and presents them beautifully in the form of puppet theater. Fun fact! The puppets are actually made of buffalo leather. If you are curious to know what goes on behind the scenes of a show like this, an exhibition can be presented in exchange for a fee. By just wandering around the premises of such a historic wall, it will get you to furthermore catch a glimpse of the essence of old Thailand, as you walk around as your past self, appreciating every historic detail deeply ingrained in the walls. 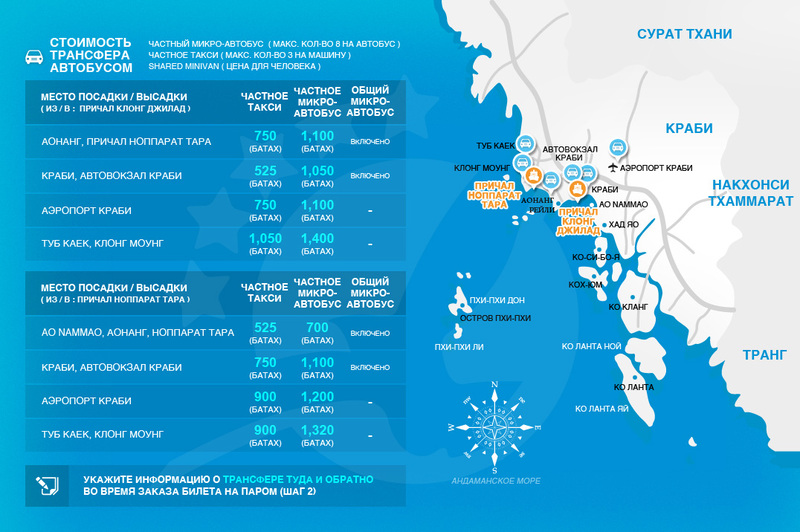 It is only a few kilometers from the airport, making it super accessible. 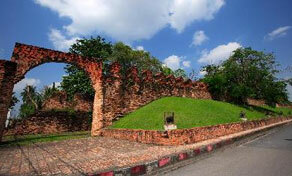 Now the wall is the host of countless concerts, celebratory events, and markets, but in the past, the old city wall was a true symbol of the Ayuttana Dynasty in the 18th century when Nakhon Si Thammarat was formerly known as “Ligor”.